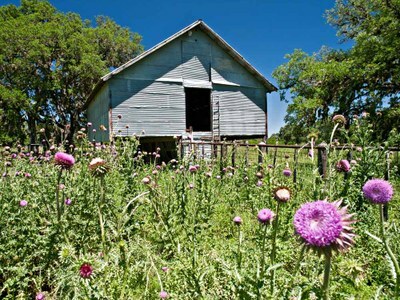 Hill Country State Natural Area is in Ban­dera and Medina counties, 52 miles north­west of San Antonio. The state ac­quired the 5,369.8-acre site by gift and purchase in 1976. The natural area opened in 1984. The Merrick Bar-O Ranch donated most of the site. The owners stipulated that it "be kept far removed and untouched by mod­ern civilization, where everything is pre­served intact, yet put to a use­ful purpose."